On March 1, 2016, the United States Supreme Court in Gobeille v. Liberty Mutual Insurance Company effectively hindered states’ efforts to collect health data from self-funded welfare benefit plans by holding in a 6-2 decision that the Employee Retirement Income Security Act of 1974 (“ERISA”) preempts a Vermont statute that required certain entities, including health insurers and self-funded health plans, to report health information to the state. 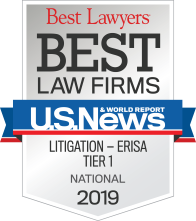 This decision is a win for ERISA-governed self-funded plan sponsors who would have otherwise been forced to establish reporting mechanisms specific to each state’s requirements. Currently, there are 18 states, including Vermont, that have adopted laws to collect health data, including data from ERISA-governed self-funded health plans, through what are referred to as all-payer claims databases (“APCD”) for the purpose of creating healthcare transparency to understand the cost, quality, and utilization of healthcare in the state and to drive possible reforms. In Gobeille, Liberty Mutual Insurance Company (“Liberty”) took direct aim at Vermont’s APCD and the supporting state statute. Liberty maintains a self-funded health plan for its employees, governed by ERISA, that provides benefits to more than 80,000 individuals in all 50 states. The Plan uses Blue Cross Blue Shield of Massachusetts, Inc. (“Blue Cross”) as its third-party administrator. Under the Vermont law, Blue Cross was mandated to report the information it possessed about the Plan’s members in Vermont. In August 2011, Vermont issued a subpoena ordering Blue Cross to report all of the information it had on Vermont member eligibility, medical claims, and pharmacy claims. Failure to comply could result in a fine of up to $2,000 per day and a suspension of Blue Cross’s authorization to operate in Vermont for up to six months. Concerned that disclosure of this confidential information might violate its fiduciary duties under the Plan, Liberty instructed Blue Cross not to comply with the subpoena and filed suit in the United States District Court for the District of Vermont seeking a declaration that ERISA preempts the Vermont statute as applied to the Plan and an injunction forbidding Vermont to collect data about the Plan or its members. The Supreme Court agreed to hear the case to address one key legal issue — the breadth of ERISA preemption. 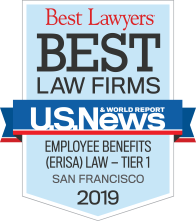 Pursuant to ERISA Section 514, ERISA preempts “any and all State laws insofar as they may now or hereafter relate to any employee benefit plan.” Generally, Section 514 has been found to preempt a state law if it (1) has a reference to ERISA plans, or (2) has an impermissible connection with ERISA plans. In an opinion authored by Justice Kennedy and joined by Justice Roberts, Thomas, Alito and Kagan, the Supreme Court affirmed the Second Circuit’s decision in holding that ERISA preempts Vermont’s law as applied to ERISA plans. The Court explained that the Vermont law falls into the second category of preemption (i.e., an impermissible connection with ERISA plans) because it (1) intrudes on a central matter of plan administration — reporting, disclosure and record keeping, and (2) interferes with nationally uniform plan administration. Furthermore, the Court emphasized that it is the domain of the Secretary of Labor, not the states, to administer reporting requirements of ERISA-governed plans. In a concurring opinion, Justice Breyer more pointedly emphasized the authority of Department of Labor to develop requirements for ERISA plans to report the type of information sought by the Vermont law or to delegate authority to the states to obtain such data for use at the federal level. Justice Thomas, in a separate concurring opinion, agreed that the majority opinion was correct based on the Court’s past precedents. However, he questioned whether ERISA’s expansive preemption clause was constitutional in the first place. Justice Thomas doubted whether the creation of ERISA Section 514 was a valid exercise of Congressional power under the Commerce Clause because, read expansively, Section 514 allows the federal government to regulate areas of traditional state concern. In a dissenting opinion, Justice Ginsburg, who was joined by Justice Sotomayor, took issue with the majority’s broad interpretation of the preemption clause, arguing that the Vermont law should be saved under Supreme Court precedent because it serves important public policy goals of reducing healthcare costs and improving the quality of healthcare and that the duty to report was not overly burdensome. The Court’s opinion has undoubtedly left the door open for the Department of Labor to create regulations mandating self-funded plans to report health information. However, this would be no easy task should the Department of Labor decide to do so. Currently, the Department of Labor does not have anything like an APCD, and it is questionable whether it has the resources and expertise to collect and manage big data of this nature. Should the Department of Labor decide not to implement such regulations, states with APCDs are left with the following options: (1) allow self-funded plans to self-report health data to the state, or (2) attempt to gather this data directly from the providers, which would be less efficient and more expensive than gathering it from the plan itself or the plan’s third-party administrator. While the Gobeille decision will have major implications on the future of states’ APCDs, it is one less burden for self-funded plan sponsors to shoulder at this time. Plan sponsors who have been requested directly or indirectly through their third-party administrator to provide health information to a state now have a strong legal basis for declining those requests.